Learn to grow tea sustainably. Want to start a tea forest? Agro-ecology! We think of our farm as a complete ecosystem rather than a focused tea production facility. 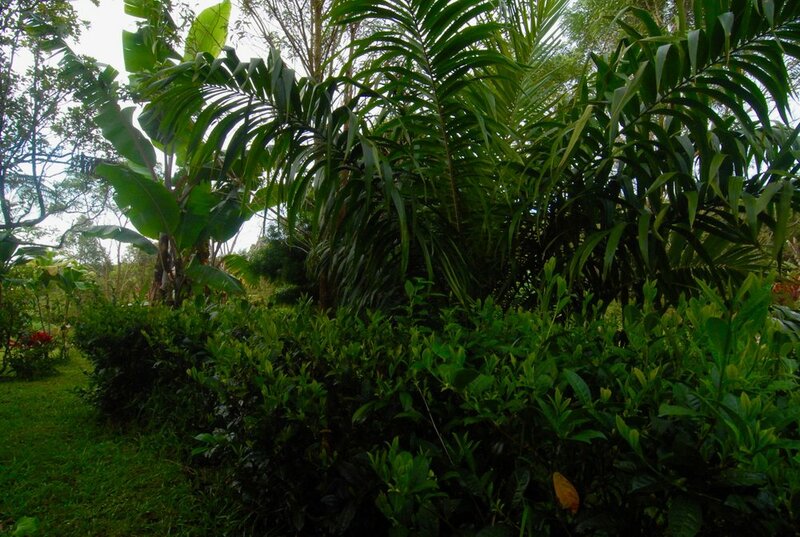 Our goal has been to re-establish mid-elevation Mauna Loa cloud forest in which our tea is an understory crop. 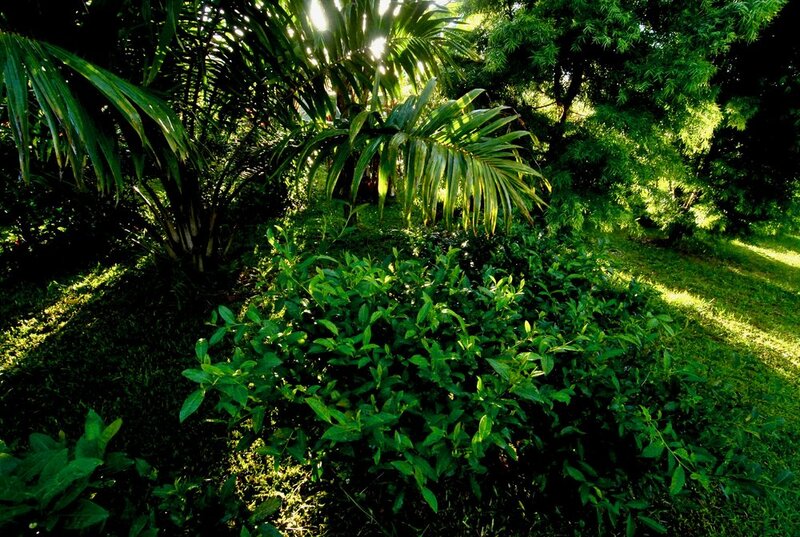 We have planted thousands of tea, native trees, and other understory plants. We now have approximately 6-7,000 tea trees, a number that shrinks and grows as we cull poorly adapted individuals and plant new ones. A few hundred of these trees are clones “cuttings” but the overwhelming majority are seedlings and the shrinking majority of those are from seeds that were collected in the Darjeeling area of India. 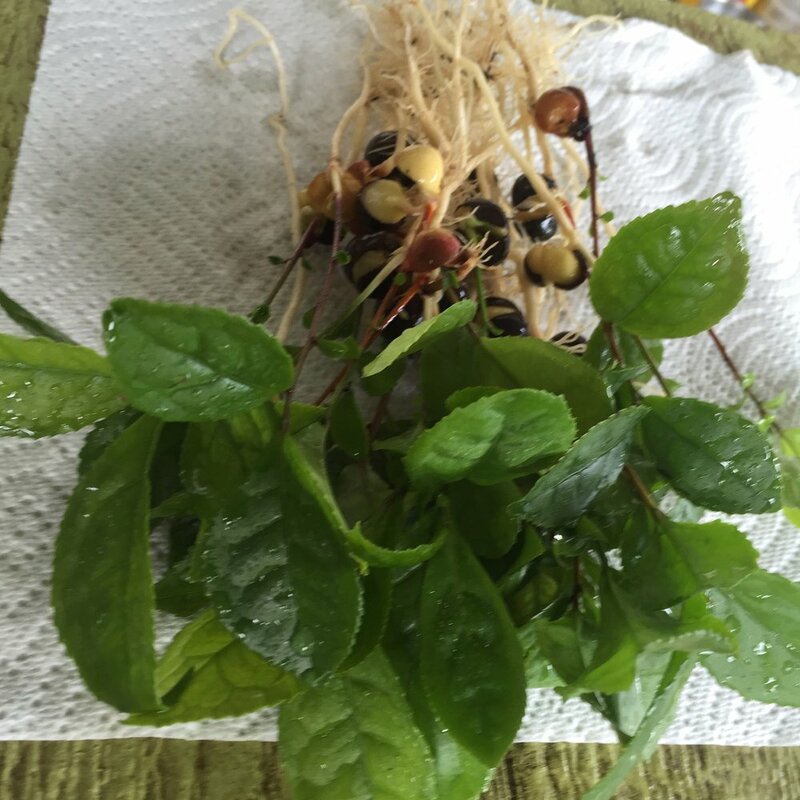 These seeds were double quarantined in both India and Hawai`i. Our trees include at least 7 varieties and a mixture of these varieties in the openly pollinated seeds we collected from our own trees. Our experience with both seedlings and clones is that seedlings are stronger, healthier, more disease resistant, more pest resistant, more drought resistant, and more productive. We also find that 10% of our seedlings are not well suited for our specific growing conditions. The removal of less fit tea trees increases the overall fitness of the tea tree population while also maintaining genetic diversity in a changing environment. 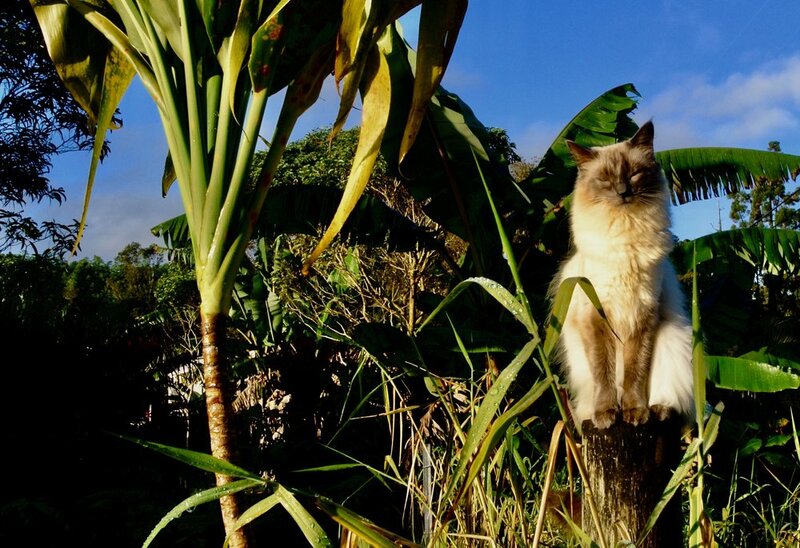 This is the natural process of evolution.. Hawai`i is a very climatically diverse place. 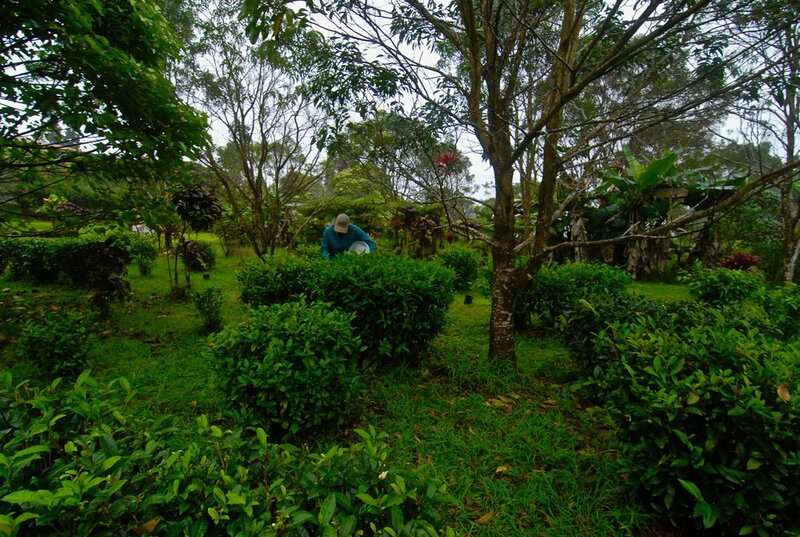 Many tea farmers are growing tea in different growing conditions. Differently adapted tea will perform differently in different environments. 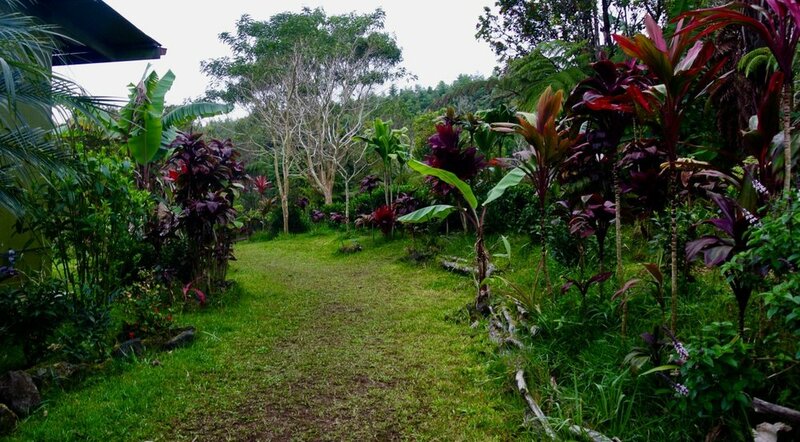 If the Hawai`i tea industry maintains a high level of genetic diversity both within and between gardens we will maximize our individual abilities to select a collection of plants who have adaptations best suited to our individual growing environments. We plant bananas close to all of our tea plantings. We have seven varieties of banana that each have distinctive taste, texture, and appearances. 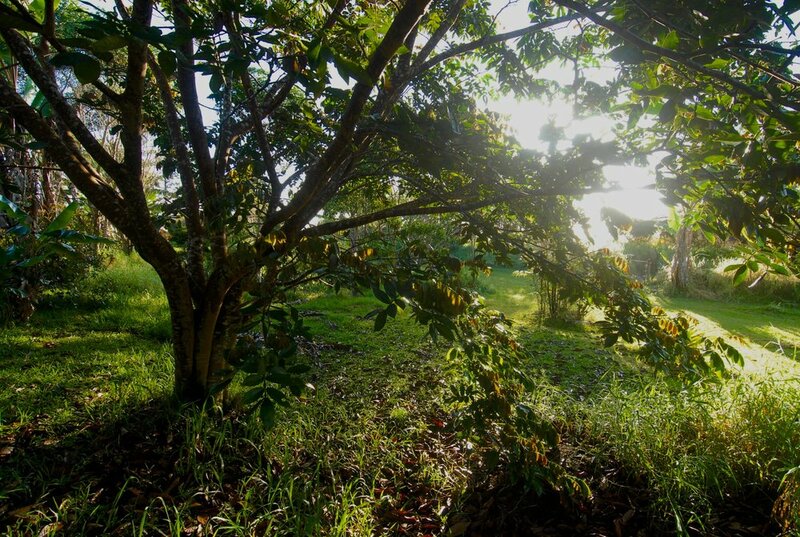 They grow quickly to cast shade and we use the banana stalks for mulching beneath the tea trees. 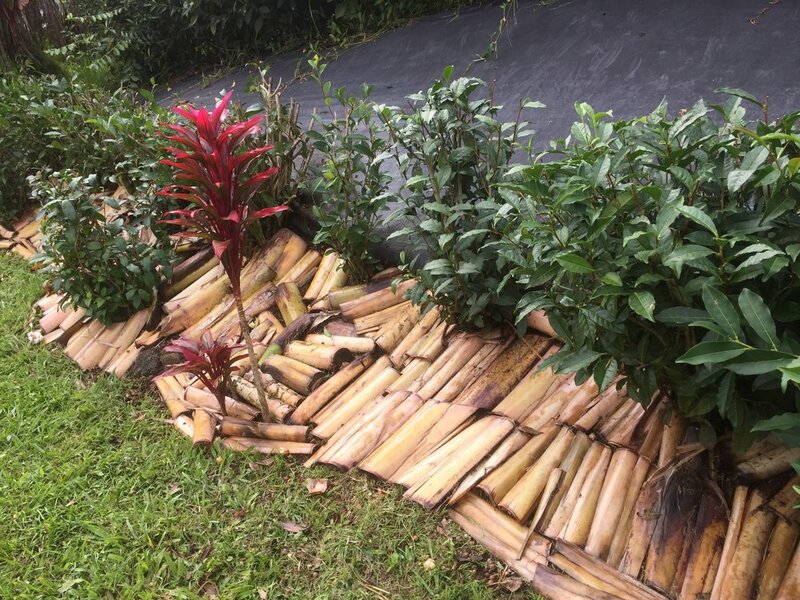 The mulch helps to recruit earth worms and other critters which are very good for the microbial health of the soil; helps with water conservation; as well as slowing the invasion of weeds. Bananas and “Ice Cream Bean” trees (Inga edulis, Leguminosae) both produce quick growing shade, ample mulch material, and delicious fruit. The Ice Cream Bean is another nitrogen fixer that improves the available nitrogen content in the soil. Composting food waste, farm clippings, and shredded paper provides the farm with “worm castings” which is a rich soil amendment. The composted soil is used for top dressing the plants. The worm castings can be made into a slurry that can be sprayed on the base of tea tree trunk. The slurry helps the plants to remain healthy and helps to fight off plant disease. Big Island Tea incorporates aquaponics, which is the marriage of aquaculture or growing fish, and hydroponics or the use of fertilizer enriched water to grow food. The aquaponic approach uses the fish poop enriched water to irrigate. We have a large fish pond that is home to hundreds of catfish and koi. Our pond is replenished by rain -- our annual rainfall exceeds 150”. Cam’s research in the ecological and conservation genetics of local forests has helped frame why and how we create a forest with a diverse collection of community members. The more complex and interdependent we can make our tea forest, the more it will be like the forest that flourished on its own in this location for millennia. We do not use any pesticides on our tea and only use organic fertilizers. Colleagues in the College of Pharmacy and in the Biology Department at UHH have been studying the benefits of growing environment in the cultivation of tea (ref. above). Dr. Tony Wright has found that tea grown in the shade has higher levels of compounds associated with delicious taste, and the health benefits of tea. How can this research help new and existing tea farmers? A person with some land that has forest should NOT cut down the trees to grow tea but instead grow the tea within the forest, or plant a forest around tea if canopy trees are not present. 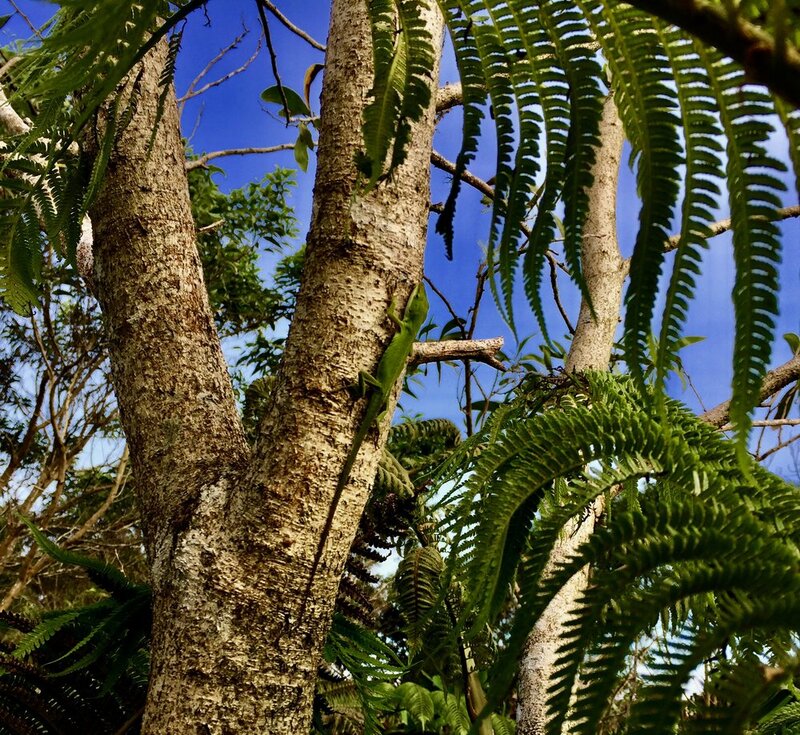 Big Island Tea is creating forest infrastructure that is attracting a web of inter-dependent organisms including soil microorganisms, beneficial insects, geckoes, and a variety of birds including the endangered `I`o -Hawaiian Hawk; Nene -Hawaiian Goose; Pu`eo -Hawaiian Owl; and a few unidentified forest honeycreepers. Tea naturally thrives in the forest; wild tea originated in the forests of Yunnan, China. Cutting edge research has demonstrated that shade grown tea expresses more of the compounds associated with the good taste and health benefits of tea. Research has also shown that genetically diverse tea grown in the ecologically diverse forests of Yunnan China is better tasting and higher value than less diverse tea grown in open plantations. We use this research to help us grow our unique tasting tea. You can taste the terroir of Kilinoe Tea Forest with every sip of our ultra premium whole leaf tea. 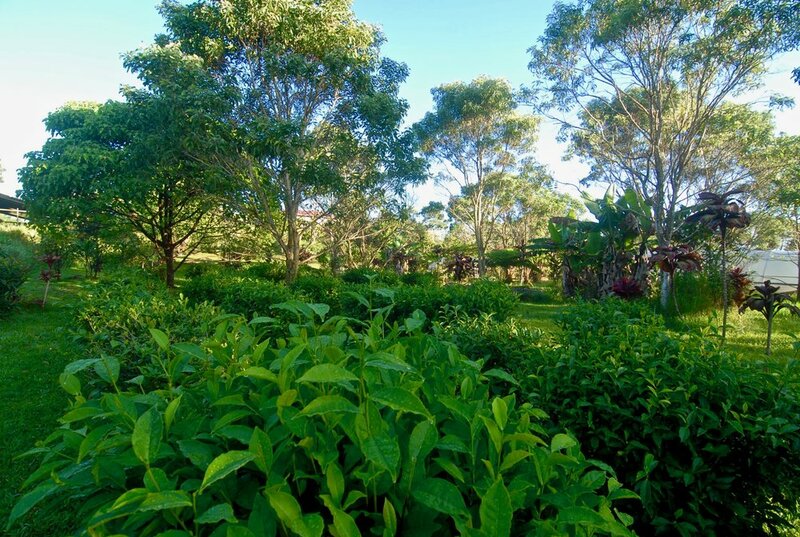 Big Island Tea provides consultation in setting up your own tea garden. We can grow your seedlings rich in genetic diversity or sell you bulk seeds, all grown with care and selected to ensure the strength of our plant material.